As an Honors Criminal Justice and Psychology double-major, one exceptional Georgia Regents University student has dedicated himself to a strain of research that is as intriguing as it is unbelievable. You see, Austin Hendricks studies the minds of superheroes. For the purpose of this particular study, Austin limited his study to only the movie portrayals of certain famous comic characters. More specifically, he focused on the Christopher Nolan Batman trilogy as well as Marvel’s Iron Man and Avengers films. And, like many successful research ventures, Hendricks’ ideas began in the classroom. Once he’d finished that first paper, Hendricks decided he wanted to explore how psychological disorders were portrayed in other superhero films as well. 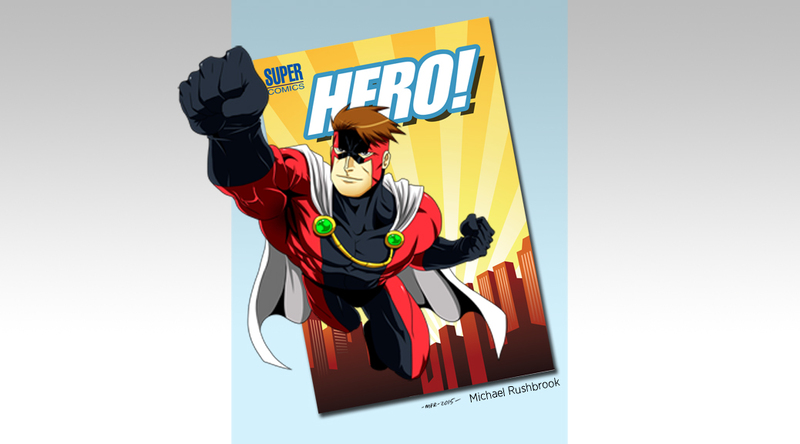 Topics covered in his research include the reasons why heroes resort to alter-egos and vigilantism to cope with their disorders, and how society’s view of “deviant” behavior is shifting in response to the actions of individuals perceived as heroes. Though finalizing this kind of research is never an easy task, Hendricks said the hardest part was finishing it in one semester. It was crucial for Hendricks to finish when he did because in addition to its standing as an exceptional piece of research, Hendricks’ study also serves as his Honors thesis. What’s unique about said thesis, though, is that he’s researching outside of his major to complete it. Dr. Jared Hegwood, a professor in the Department of English and Foreign Languages, currently serves as Hendricks’ faculty mentor. 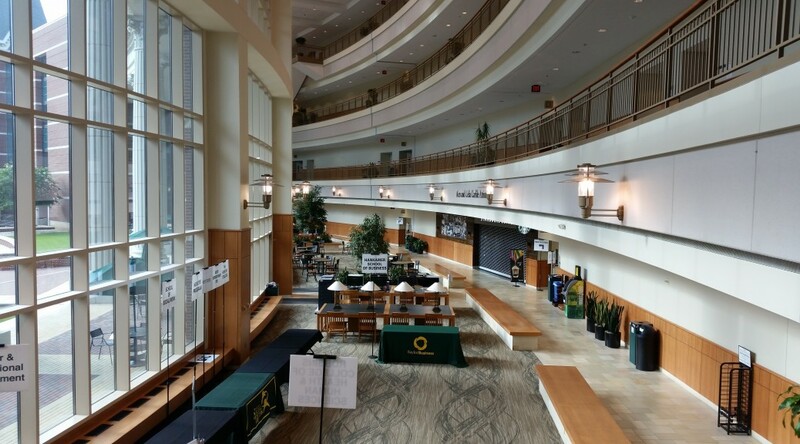 Normally, students producing exceptional research are encouraged to submit their work at Center for Undergraduate Research (CURS) Research Seminars – a terrific venue for high-caliber student research. But Hegwood said he saw something more in Hendricks’ work. The Comics and Popular Arts Convention is an annual academic conference held in conjunction with Dragon Con, one of the largest multigenre conventions in North America. Hosted yearly in Atlanta, Dragon Con drew in an attendance of more than 50,000 con-goers in 2012, and boasted dozens of celebrity guests from around the globe. Hendricks will present his thesis at CPAC over Labor Day weekend. In a way, it’s fitting, especially for someone under Hegwood’s guidance. He, too, presented at CPAC not too long ago and said it was a fun opportunity, though he stresses that the much more formal, much more academic CPAC is a far cry from the rowdy fun of DragonCon. An old hand at working with Honors Prospectuses, he said the experience of working with Honors students is always rewarding, though, whether it involves conventions or not. He said Honors students are that much more willing to push, to see what works and what doesn’t in their given fields. That same determination often leads to success, and occasionally, camaraderie. 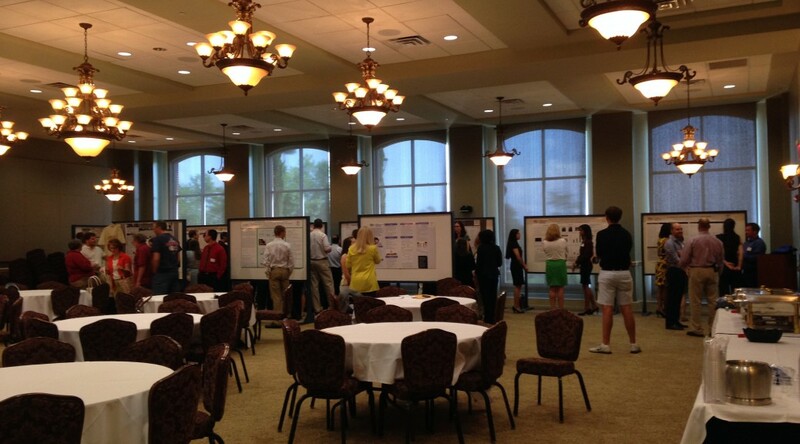 Every semester, the Georgia Regents University Center for Undergraduate Research & Scholarship (CURS) offers several forms of funding to support faculty-led undergraduate student research, scholarship and creative activity. Currently, there are three forms of funding available. 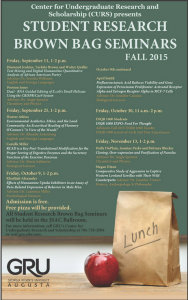 Faculty in all academic disciplines are encouraged to submit proposals. Supplies and materials funding – This funding is available to faculty members working with undergraduates, either in a class setting or as individuals, who need supplies in order to complete their research or scholarly activity. Items covered by a supplies and materials funding grant include specialized books, materials, film, chemicals, equipment and more. Faculty travel funding – This funding is intended to support faculty traveling with students to engage in or present research. In order to apply for this type of funding, faculty mentors should accurately explain the activity or conference for which travel is required, how many students will be accompanying and whether or not the faculty member will also be presenting, researching or working and in what capacity. Faculty development related to undergraduate research and scholarship – This funding is used to aid faculty in developing an undergraduate research curriculum – either by attending conferences, workshops or other forums – in order to learn how to improve their ability to engage students in research, scholarship and creative activity. This funding can also be used to purchase books or materials on the topic of undergraduate research in specific disciplines. Generally, CURS grants are not awarded to support class assignments or class projects. CURS grants are intended to encourage faculty-student work that extends beyond the normal classroom. Previously funded projects include the making of “The Marshal of Summerville,” a 2015 documentary about George Heckle, a Summerville marshal from the late 1800s and early 1900s, and attendance to the International Writing Center Association/National Conference on Peer Tutoring in Writing’s 2014 Conference Presentations. 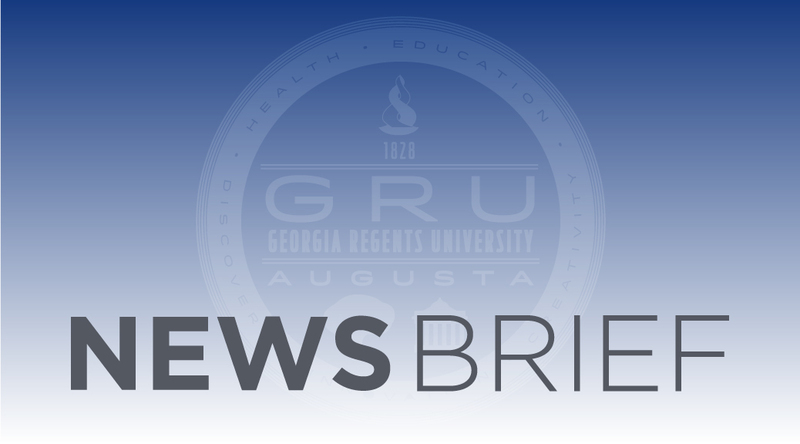 All proposals for CURS grants are due on Friday, Sept. 9, 2015. Applications will only be accepted through the online form located here. Please note you will need to download the budget PDF and upload it with your submission. The budget form can be found here. 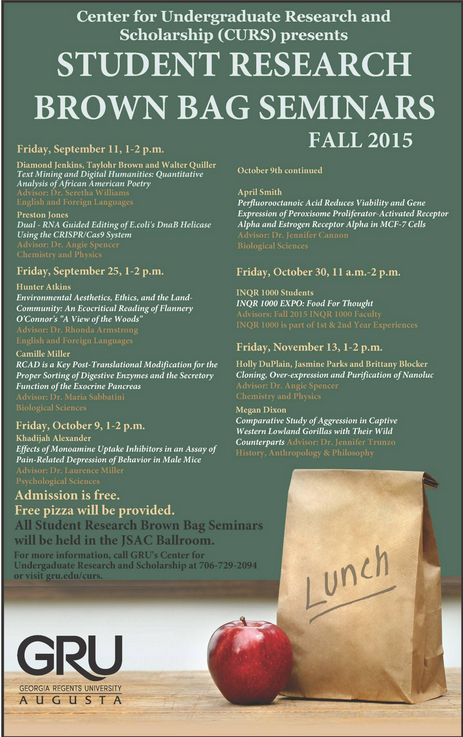 For more information about submitting a CURS grant proposal, please contact Abigail Drescher at adrescher@gru.edu. 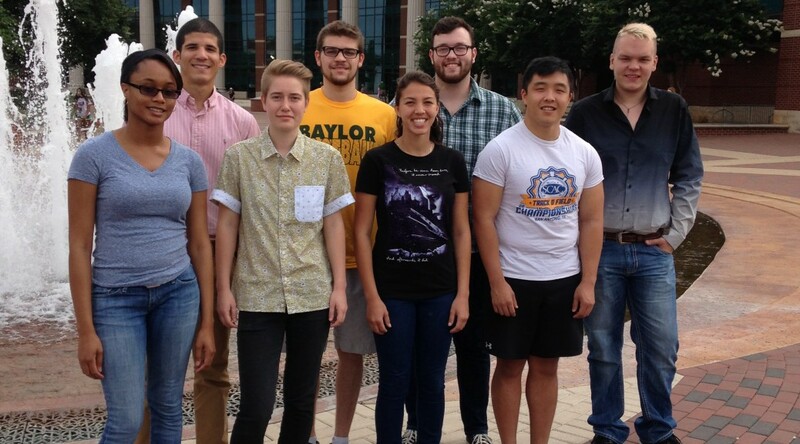 I just completed week four of what has already been an amazing research experience at the Baylor University REU program in chemistry. This week was filled with cool research and a few extra things to spice up the experience. First and foremost, the emphasis on conducting meaningful research has been high, and thus I have spent the majority of my time in the lab working on my project. This week was incredibly successful for me. Last week, I got my ligation to work, and this week, I screened those colonies to discover that about 90 percent of my E.coli colonies contained the correct plasmid, which meant I could move forward with my research. As I stated in week one, I am working with a new technique in molecular biology called the CRISPR/Cas9 genetic editing system. I just completed creating the CRISPR part of the system. And we already have the Cas9 part, so this week, I was able to do some transformations to attempt to edit the E.coli genome. After spending the rest of the week working on prepping cells for these transformations, I finally got the transformations done and came in Saturday to find I had cells growing on all of my transformation plates. This means there is a 65 percent chance (from literature) I’ve created the mutation in E. coli’s DnaB helicase I desired. This week will be spent amplifying the gene and using restriction enzymes to test if I created the change I believe I did. After that, I will move forward with expressing and purifying the protein for kinetic assays later this summer. Outside of research, the rest of the week was also interesting. As usual, we had our weekly research talk. Dr. Bill Hockaday talked to us about his work with wildfire charcoals and how he uses the charcoal deposits to understand fire-climate interactions. However, what really made this week unique was that my PI, Dr. Trakselis, hosted a chemistry department volleyball tournament on Friday. Eight labs brought six players (per lab) to the student life center to play in a double elimination tournament. This was an awesome way to give everyone a break from being in the lab and to have fun. Our lab came in third. Another fun change added to the week is that I decided to take the weekend away from research and take advantage of my proximity to some of the larger cities in Texas. My girlfriend, Emily Menendez, spends her summers in San Antonio with her parents, and so I drove to San Antonio and was able to see all that the city has to offer. 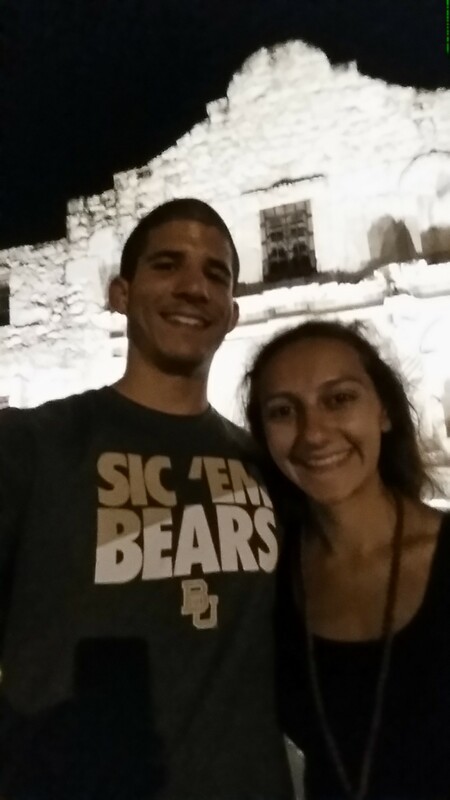 I enjoyed great food and saw the Alamo, in a relaxing weekend away from the lab. Week five is this week, and I look forward to doing some awesome research and learning a lot more about my field of interest. Hopefully next week, I can confirm I have positive mutations and can move forward with protein purification! Until then, have a great week! 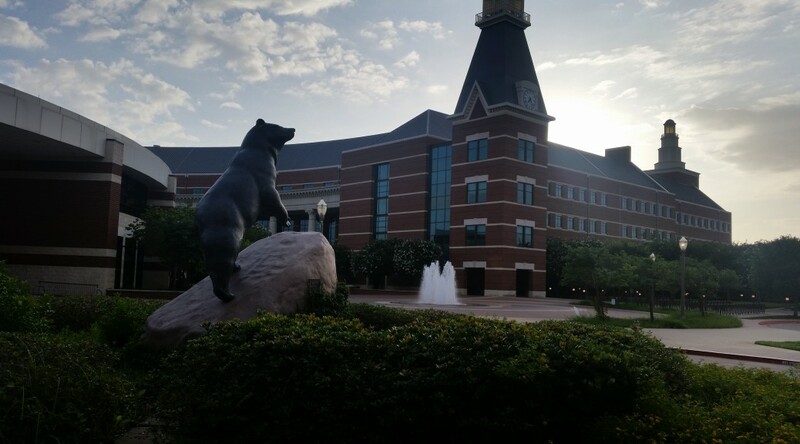 Hello from Waco, Texas, and Baylor University! I just finished week 3 of 10 in the summer REU program in chemistry and have learned a lot of new things. Last week, we finished attending our advanced instrumentation workshops, so this was the first week where almost every day was 100 percent dedicated to research without interruption. We were able to experience more of what it’s like to be in graduate school and beyond by working in the lab for hours each day. During that time, research was our only goal. We did get to take a break on Tuesday when a lunch was provided for us. We listened to one of the faculty, Dr. Caleb Martin, talk about his research on “Anti-Aromatic Boron Heterocycles.” I think it’s nice that the program decided to leave in these research talks each week because it challenges us to think outside of our field in chemistry and explore the projects and interest of other researchers at the university. This is worth doing because you might learn something from someone else’s research that could become useful in your own, or vice-versa. However, even though we were able to take a break to enjoy Dr. Martin’s talk, the focus for the rest of the week was on conducting more research, and that’s exactly what I did. If you remember from last week’s post, I was struggling with a tough plasmid-insert ligation and transformation. This week my PI, Dr. Trakselis, was out of town on business, so it was up to me to get the ligation to work (hopefully before he returned). I spent the beginning of the week testing out all my reagents to ensure that they were all working. Once I discovered that they were all working well, I went to the literature and began reading the different things people have tried to get tough ligations to work. After taking notes on all that I read, I tweaked a few things in the protocol and, sure enough, I came in Saturday morning to successful transformations. That means this week will be spent screening all the colonies to be sure that at least one of them is truly a success. When I wasn’t doing research, I spent the week exploring the campus. The science building is near one of the campus boundaries and thus I haven’t really seen much of the opposite side of campus. 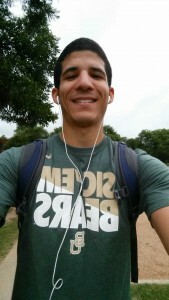 I started my exploration by heading to the bookstore where I picked up some Baylor University apparel. I explored further later Friday night when I went for a run around the perimeter to see how the campus looks with all the lights on. 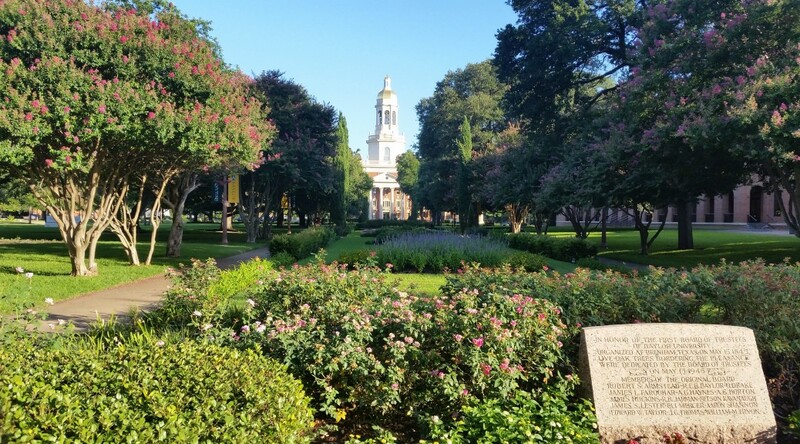 Baylor has an extremely gorgeous campus, and I was able to appreciate all the fine things they’ve done with it. 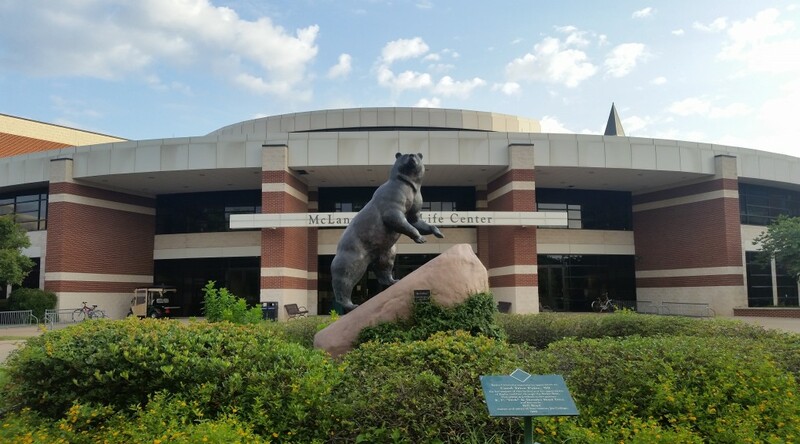 All in all, this week has been successful both in that my research has taken steps forward and that I have been able to explore some of the campus. Next week will be similar to this week in that there will be a large focus on the research. However, I’m sure there will be other exciting things, and I look forward to experiencing and sharing them with everyone!